Whether you are looking to have air conditioning installed in your home or in the workplace, you can rely on affordable solutions from Penguin Air Conditioning to ensure you can enjoy a cool and refreshing atmosphere. 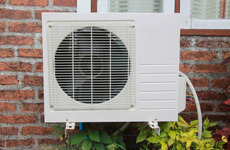 As well as new installations, Penguin Air Conditioning can take care of any maintenance or repairs for your system. Call our specialists today for more details. As part of our dedication to ensure you receive excellent customer service and great value for money, as well as a free quote, we offer also free surveys and consultations to help you find the perfect system for your home or workplace. Contact us to arrange a visit from our team.